Please note: You may find profiles and feed templates it a little bit complicated to setup, but you only need to do it once for all your products in the same category. If your products already exist on Amazon, you do not need to create any listing profiles at all. Visit Amazon » Profiles and click “Add New Profile”. Enter a profile name that describes the products you are going to publish in this category. After you select the “Feed Templates” (Amazon Parent Category), you will see a long list of details Amazon wants you to fill in when adding products to this category. 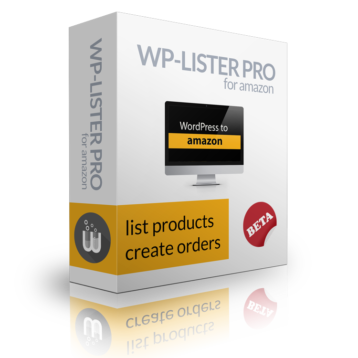 This is a tricky part of setting up WP-Lister for Amazon, but you can simply follow the rules below to create the templates quickly. All field values can be pulled from product attributes, but if your site does not have brand or manufacturer details because you only sell one brand, you can simply enter these directly in the profile.